Northpool is a commodity trading company founded in 2013. 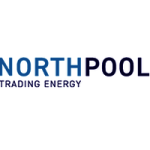 Northpool’s main focus lies with trading energy and weather-related commodities and is currently active on the short-term power and gas markets. Being a startup, Northpool is always looking for new opportunities and innovative ideas. Northpool has a strong knowledge on fundamental drivers in the energy market. This, in combination with highly efficient trading strategies, Northpool is able to see and seize opportunities. Northpool consists a small team of traders and analysts. They intensively work together, using models and experience to operate on the market. Northpool has a young team, its professionals are eager to develop and grow. Our office is in Leiden, The Netherlands. Once you’ve mastered the fundamentals of power trading, we’ll put you to work on the Western European market. Every day will be a challenge. You’ll push yourself to the absolute limit. Your goal? Outperform this competitive market and beat the system. When you're invited to our office, you will have a first interview and we'll ask you to make a calculation test. When these to are sufficient, you'll get a second interview.